Quoth the Author, “NEVERMORE!” From the Great Beyond Blog Hop! Angela Brown, Gwen Gardner, Roland Yeomans and Tara Tyler are offering more chances for people to win something in their FROM THE GREAT BEYOND BLOG HOP! On October 30, participants write a post about a famous deceased author or celebrity they’d like to contact in their séance. Usually, I don’t get a thrill from getting the chills. But since it’s All-Hallows’-Eve, I’d like to use my séance to shine a light on the dark tales of Edgar Allan Poe, the American author known as the master of the macabre. Poe used the trademark elements of Gothic horror to explore the depths of human emotion like nobody’s business. It’s no mystery why the name Poe came to symbolize an entire genre! “The Tell-Tale Heart” and “The Fall of the House of Usher” are two of my most loved short stories to read, and I even have a T-shirt of his most famous poem, “The Raven.” His career influenced loads of other writers, and I certainly hope he doesn’t quoth his character and tell me “NEVERMORE!” when I ask him for some writerly advice. And of course there’s that scandal to ask him about, the one that most readers find very frightening indeed! That at the age of 20, Poe moved in with his aunt, uncle, and cousin after his father left and his mother died. It was there in Baltimore that he met his 7-YEAR-OLD cousin Virginia, who he fell madly in love with and married when she was only 13 (how unlucky!). She died 18 (well, I do LOVE that number) years later in 1847, and Poe died only 2 years after Virginia’s death . . . . So yeah, I’d like to know why he married someone within his family, and someone so young at that! Also, I find many conflicting reports on the subject of Poe and his wife, specifically their ages and if they were first or second or third cousins. So I’d like to clear that up for the students that I teach, too. *If you didn’t get a chance to participate, but still would like a prize, go visit the posts and comment and they’ll enter those, too. After haunting the blogs and reading the posts, the spirits will select winners from the commenters and from the posters, to be announced on October 31. The prizes will be frightfully good, including copies of books and more! Hopefully, you will join us for a ghostly good time! So, who would you like to contact in a séance if you could? Have a Happy and safe Halloween! I’ll be busy doing an author visit at another local middle school. The librarian told me I’m their treat for the day! You think I can demand they pay me in candy if they want to buy 18 Things?! HELP! What Should My New Cover Look Like?!? As smaller publishers are catching up with Big 5 illustrators in terms of style and quality, Big 5 YA covers have been differentiating themselves by shifting away from photomanipulation people on the cover and more toward high concept minimalism (think Hunger Games and Twilight). So if I want to follow in the trend of Big 5 covers, this is something I should consider. With 18 Truths set to come out on January 28th (YESSS, I have an official release date *squeeee*), I wanted to keep the banding the same between its cover and that of the first book in the series, 18 Things. But to do that, there was no way I could lean more toward a minimalistic cover. I emailed the powers that be at Curiosity Quills about this (my publisher), and asked them about some smoother graphics and a bolder color scheme for 18 Things, because after a discussion with another author/blogger, we both thought it could do wonders for the cover. If you’ve ever spent some time browsing covers in the Young Adult section at Barnes and Noble, you see what’s striking, and have probably discovered it doesn’t matter how good the book is; if the cover is exceptional, it will appeal to readers. I didn’t know if the scene of the 18 Things cover was necessarily the problem of keeping it competing with other YA best sellers, and I thought asking my publisher to redo the whole thing was too bold to ask. But then CQ responded to my concerns with an offer to completely reimage the cover, and I enthusiastically accepted. From there, we can brand 18 Truths and later on, 18 Thoughts (the last book of the trilogy, which I plan to write the entire novel during November for NaNo, so say some prayers for my sanity please), in the same vein. You Don’t Want To “Evade” This Good Read! In this thrilling sequel, Ever Van Ruysdael’s race to beat the odds—and the clock—begins with the introduction of an integral part of her past. As secrets are revealed, and truths uncovered, she learns her imminent death is the least of her problems: Ariadne did more than just put an expiration date on her life; she marked Ever’s soul by upping its value for greedy collectors looking to buy their freedom. Condemned by the countdown on her life, and hunted by hired Seekers, Ever’s journey leads her to question everything she’s known and everyone she’s trusted, while growing closer to the one person from her past she was determined to avoid—and the one guy she never could—Toby James. With her ex-boyfriend by her side, and the countdown clock rapidly ticking away, Ever tries thwarting fate’s plans. But as her nineteenth birthday approaches, and desperate Seekers follow her every move, she may be too late. A marked soul is hard to come by . . . and even harder to escape. My Review: When I read the first book, I read the whole thing in one sitting. I practically read Evade in one sitting as well. I planned to read it this past weekend, but time got away from me. So last night and tonight I pretty much read the entire thing. And OMG! This one is definitely way more paranormal, whereas the first one was more contemporary with a paranormal twist. Ever left us with so many questions, and I loved the way Russo filled in the blanks for us. There’s a lot of information to digest, so get your pot of coffee ready when reading this one! I know Jessa and she’s a total pantser, so I loved reading things that tied together so neatly . . . that I don’t think she had any idea about when writing the first one. As a writer, I can definitely relate to just having to struggle until the right answer presents itself. Let me just say this, to readers and writers alike: Never underestimate the power of the holy crap moment. The twists and turns and flips may make you sick at times, but at the end of the day, that’s what sticks with us in a book. So yes, some of this book may drive you crazy at times, but it’s also what makes the story epic! 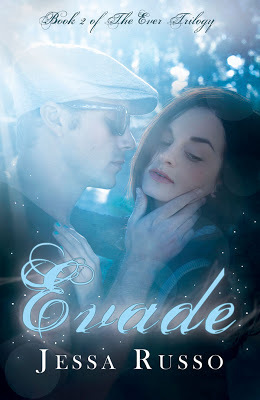 So if you love paranormal, romance, and plot twists, then pick up Evade today! P.S. To Jessa, if you’re reading this, I can honestly say I ended book 1 clearly favoring Frankie. But now, I’ve changed my mind. Please have Ever end up with Toby! I’ll send cookies 🙂 And that is all. Why Sci-Fi? . . . and Booking Time Trips!! 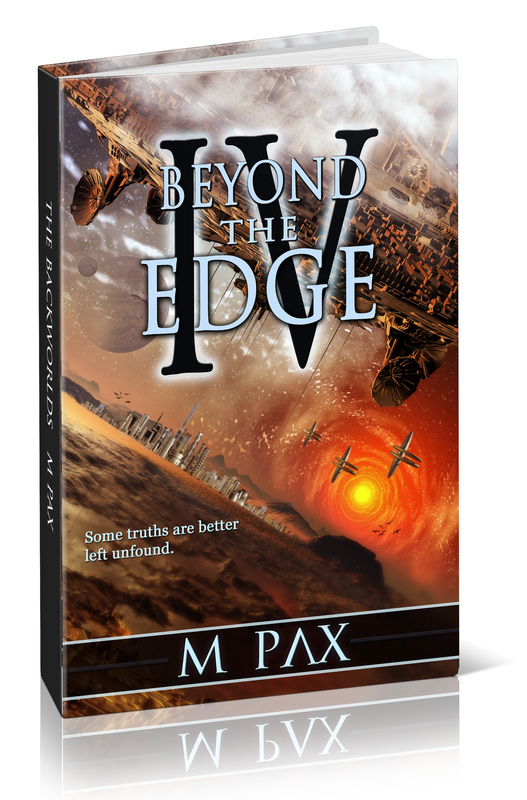 Today I’m asking M. Pax, author of Beyond the Edge, the question: Why do you write science fiction? M. Pax: Wonder and curiosity. What’s out there? There’s no way to know in my lifetime, Voyager just recently left the solar system. I can imagine it, though, and travel the stars that way. Some truths are better left unfound. For two years Craze’s dear friend, Lepsi, has been missing. The murmurings of a haunted spaceship might be a message and may mean his old pal isn’t dead. The possibility spurs Craze and Captain Talos to travel to uncharted worlds, searching. Out there, in an unfamiliar region of the galaxy beyond the Backworlds, they stumble upon a terrible truth. Meanwhile, Rainly remains on Pardeep Station as acting planetlord, dealing with the discovery of her lover’s dark and brutal past. Alone and questioning her judgment, her introspection unlocks more than heartache. Latent protocols in her cybernetics activate, forcing her to face a sinister secret of her own. In the far future, humanity settles the stars, bioengineering its descendents to survive in a harsh universe. This is the fourth book in the science fiction series, The Backworlds. A space opera adventure. time trip to, and why? This is a tough one! I’d want to travel into the future . . . say, 75 years from now. The zombie apocalypse should’ve happened by then, right? We are a full service agency designed to meet all your exclusive time travel needs. Family-owned and operated, we offer clients one hundred years of time travel experience. A place where you can rest assured, safety and reliability always come first. Anxious to attend a special event from the past? Or for a glimpse of what the future holds? Conference us directly from our Website. Our frontline reservation specialist, Bianca Butterman, will handle all your inquiries in a professional and efficient manner, offering a tentative itinerary and free fare quote, so you can make the most of your time trip. 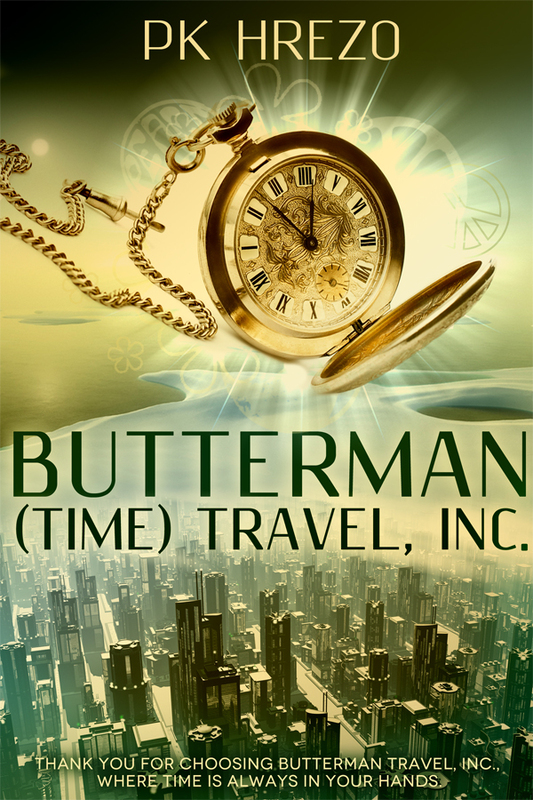 We look forward to serving you at Butterman Travel, Inc., where time is always in your hands. *What about you? Where and when would you want to time travel to? Come on, join the fun, it’s Hump Day! So I made it through my first quarter of teaching middle school Language Arts–WooHoo! I’m still loving it and to celebrate, I decided to do a Power Point Presentation with my classes on Wednesday and Thursday (Friday was a teacher work day for report cards) about the Top 10 Things Star Wars Taught Me About Writing, embedded with video clips from the movie to illustrate each point. We also enjoyed Yoda Soda and Wookiee Cookies and had a lot of great discussion. It got me wondering . . . are there any movies that have inspired your writing? 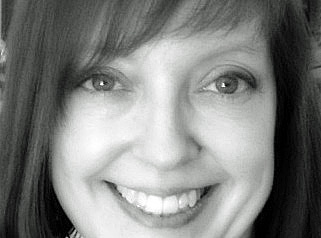 And now I have Mara Valderran, author of Heirs of War, to share about what inspires her: Music! I could really spend more than four posts discussing the music that inspires me to write, but I’m going to contain myself and wrap it up here. So far, I’ve talked about songs that inspire battle cries, broken souls, and broken hearts. But one of the most immediate conflicts in Heirs of War is the fact that the main characters’ worlds have been turned upside down. And fortunately, I have just the songs to help us understand their plights. Isauria has been dreaming about Estridia and all its troubles for years, but I think, in some ways, that world was always more real to her than the one she lived in. If someone had given her the choice to either stay in the world she knew, where she has little to no social connections and felt constantly out of place, or be sent to Estridia with all its war and strife, she would have still chosen Estridia. Estridia felt more real to her. And once she gets there, she finds out she has this power to see other people in her dreams, and feels she has a responsibility to use it. Even though she has to be unconscious to use it, she feels more awake and alive than she ever has before. She has a purpose, and she is holding tight to it and never letting go. Sometimes, worlds getting turned upside down can be really hard and hurtful. That’s exactly how it is for Rhaya. One of my best friends, who knows this series almost as well as I do, actually introduced me to this song and informed me that it was Rhaya’s. After listening to it, I couldn’t agree more. True, Katy Perry might have been talking about a relationship with a person when writing this song, but to me this is about Rhaya’s relationship with the world of Estridia. When she’s first dropped into Anscombe, she loves it. A world full of magic? It’s every fantasy lovers’ dream! But the more she gets to know the world and the society around her, the more problems she sees. She’s forced to realize that she’s been viewing the world through rose-colored glasses, and the fall to reality is very hard for her. It’s something I can’t wait to explore in the next book with her. That wraps up my musings on musical inspirations for Heirs of War! Thank you, Jamie, for letting me spend some time on your blog! And thank you, readers, for spending that time with me. I’d love to hear what inspires you. Is it music? Or television? Other books? I’m so glad I agreed to review this book! In full disclosure, Katie Hamstead is my publishing sister at Curiosity Quills, although not someone I’ve come to know through the blogosphere yet (but I hope to!). So, Hamstead started right in the action. The story begins with Naomi, a Jew, who offers herself instead of her sisters to be taken as the Pharaoh’s concubine. From there, the plot unfolds. Danger, desire, decision . . . KIYA (the new name Naomi is forced to take) has it all! And it was nice to read about another young heroine with moral standards who stuck to her guns, no matter what the cost, in order to protect those around her. The only thing I didn’t like about the story was the villain, Nefertiti . . . she was too unlikable for my taste. I like to have the bad guy, or girl, to have at least one redeeming quality, and I didn’t see one in this evil queen. Just FYI, I don’t typically pick up historical novels . . . but I know some people complained about the historical accuracy of this book. Well, I’m no History-Nazi. To me, obsessing over history details (especially ones that can’t be proven) take the magic out of a book . . . kind of like when you become an author and it ruins the magic of writing (because when I finally signed my publishing contract, being chained to my laptop for fifteen hours a day and not even making enough money to keep a child in Africa alive for the month wasn’t what I pictured in my mind . . . but that’s a rant for another time). Ooh, squirrel! Now where was I? Oh yeah–I don’t like to sweat the small stuff. If you’ve ever read a book published by CQ, you know that we’re often into breaking a rule or two . . . or four hundred seventy-two 🙂 And that our authors are prone to rants 🙂 Anyway, I get enough of that educational crap at the school where I teach. HA! The real crux of the matter was . . . did this book entertain me? YESSS! Maybe the dialogue wasn’t always convincing for the time. Doesn’t change the fact that I thoroughly enjoyed reading Kiya’s voice. The novel was beautifully written, with the combo of dialogue and narrative woven effortlessly within the story, compelling me to turn the page well past my bedtime! I really can’t wait for the sequel!! Bravo, Katie!!! 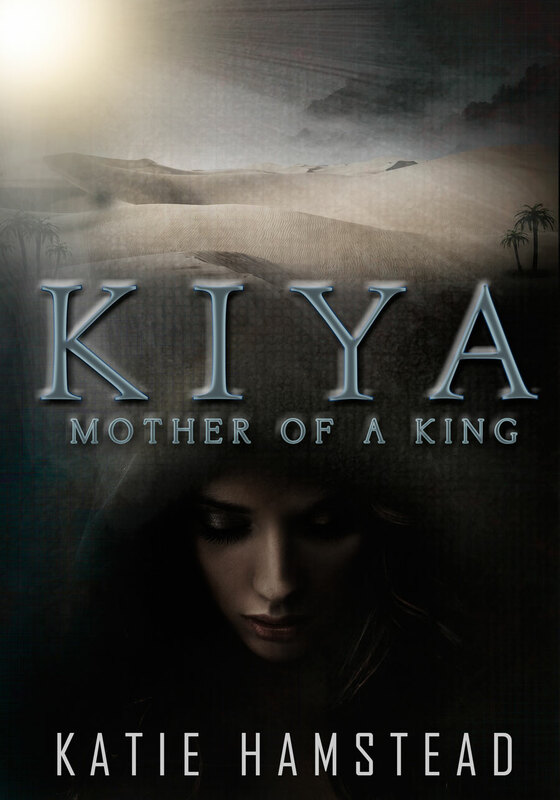 So click on the link to Purchase Book 1, Kiya: Hope of the Pharaoh. Synopsis: When Naomi’s sisters are snatched up to be taken to be wives of the erratic Pharaoh, Akhenaten, she knows they won’t survive the palace, so she offers herself in their place. The fearsome Commander Horemheb sees her courage, and knows she is exactly what he is looking for…The Great Queen Nefertiti despises Naomi instantly, and strips her of her Hebrew lineage, including her name, which is changed to Kiya. Kiya allies herself with Horemheb, who pushes her to greatness and encourages her to make the Pharaoh fall in love with her. When Akhenaten declares Kiya will be the mother of his heir, Nefertiti, furious with jealousy, schemes to destroy Kiya.Kiya must play the deadly game carefully. 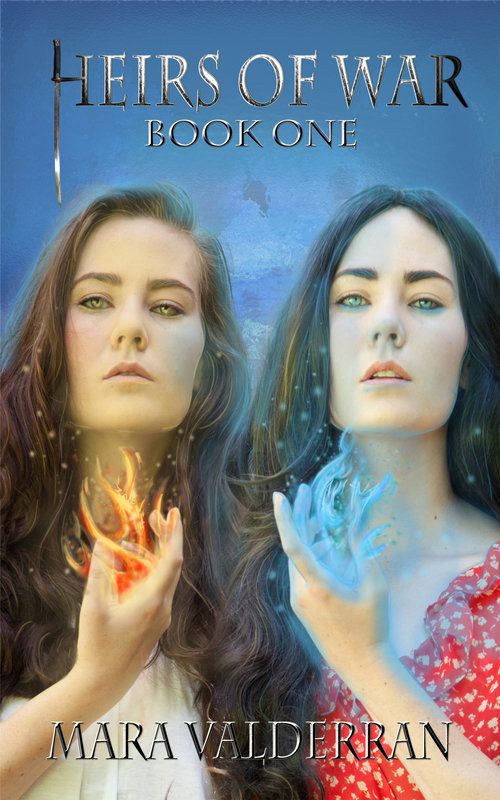 She is in a silent battle of wills, and a struggle for who will one day inherit the crown. If she does bear an heir, she knows she will need to fight to protect him, as well as herself, from Nefertiti who is out for blood. Blurb: Nefertiti has forced Naomi to flee Amarna with Malachi and the three children. But even under the protection of Naomi’s family in Thebes, Nefertiti still hunts her and Tut. Nefertiti sends assassins to kill them, and while Naomi fights to protect the children, Malachi fights to keep her safe. With three children in tow, one of which isn’t her own, she is labeled the harlot outcast wife of the pharaoh and is shunned. She isn’t safe among her own people, and flees from being stoned to death. Although her family protects her, she must find a way to survive. While Naomi struggles to keep herself and Tut alive, old adversaries return as Smenkhkare takes advantage of Akhenaten’s ailing health. Naomi must rely on Horemheb’s promise to protect Tut’s birthright, but her feelings for Malachi could cause more problems with Horemheb than she expects. Hi *waves & shouts Happy Hump Day! 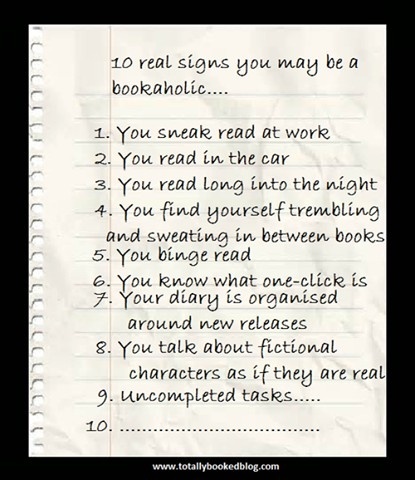 * My name is Jamie Ayres and I’m a bookaholic. If you are too, then you’ve come to the right place! My friend, Amy, shared this with me on FB–too funny! *Clears throat and adjusts microphone on the podium* One great thing about life is that it’s full of second chances. This is a brand-new day, a whole new beginning, and I’m lucky to be able to call upon friends and family to support me! I have to confess . . . the release of my debut coming of age novel, 18 Things, did not go as well as a I hoped. So now, eight months later, when my publisher offered to make some amendments to it, including clickable links at the end of several chapters, I was very excited! There are ten quotes they picked out to be featured at the end of some chapters, and you can click on a link in the ebook that posts it directly to either Twitter or Facebook! So, now I have a few favors to ask . . . if you’re not too sick of me yet! *Gulp* I created an Accelerated Reader quiz for 18 THINGS, but it’s only available at the middle school where I teach now. In order for it to be a national quiz, many many people have to request it on their site. It’ll literally only take you a minute! If you’re not a teacher or don’t have a kid in school, please put “Gulf Middle” when it asks for a school. Here’s the info and the link: Quiz Type: Reading Practice. Series: 18 Things. Publisher: Curiosity Quills. Interest Level: Middle Grades Plus. Year Pub’d: 2013. ISBN: 978-1-62007-151-9 . . . (if you’re not familiar with the AR program & you write MG or YA, make sure you peruse the sight to see about requesting your book as well). Now that the book has been updated and book #2, 18 Truths, has been written and going through edits, I need blog reviewers for a blog review tour to create some buzz before the sequel is released! If you’ve already read 18 Things, I hope you’ll send me your details so I can have my publisher’s tour organizer hook you up! If not… jump in! I’ll supply you with an e-copy for your Kindle or Nook, and you will go in the running to win autographed paperbacks of both 18 Things and 18 Truths with some cool swag when it releases! If you don’t have a blog, but you’re reading mine (thank you), would you be willing to post a review on Goodreads if you’re a member or even Amazon or Barnes & Noble? THANKS ALL, and don’t think I won’t return the favor for any of you . . . just let me know what I can do! After all, that’s why we’re part of the Alex’s Insecure Writer’s Support Group. See ya back here the first Wednesday of November! Don’t forget we have our own Twitter hashtag to keep in touch between now & then: #IWSG. Also, who’s excited about the new IWSG website? I know I am!!! P.S. For those inquiring about where the “About the Author” section was, it’s also been added to the back of the book in the new amendment. So now when I see random middle schoolers reading my book at the post office and I tell them I’m the author, they won’t run away screaming from me because I can prove I AM the author. Okay, that’s a lie. They’ll probably still run screaming from me . . . I have that kind of effect on people.